Preparing for the CFE is likely going to be one of the most stressful and confusing times of a CPA candidate’s life. Not only do you have to stay on top of your demanding job schedule, you will also be expected to balance your CPA projects. 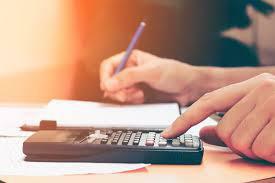 The CPA process has changed- the advice you receive from previous partners and managers may be slightly dated since the amalgamation, however the advice does come with good intention. STRESS – that was all I could feel in the beginning. I was fresh out of Wilfrid Laurier University starting my full time job at MacGillivray and I knew the CFE was lurking around the corner. I began my CPA journey after completing the add-on semester at Wilfrid Laurier. This took me right to the start of Capstone 1. I received the first of many emails from CPA kicking off Capstone 1. Once again the feelings of stress brewed inside me like a fresh pot of coffee. Lucky for me, I could turn the corner to a senior staff member who had successfully written the exam the year before. At MacGillivray, there is a steady stream of successful UFE and CFE writers. They support their candidates throughout the process by providing them with the resources and encouragement they need to ensure a smooth journey. For example, MacGillivray provided me the option of taking a CFE prep course hosted by Canada’s leading CPA and CFE education provider. MacGillivray offers a flexible study leave that can be customized for each candidate. The previous writers at the firm will give you their ‘optimal’ time off, however, it is up to you to decide. I was able to choose something that worked for me- which helped me plan out my study schedule. Capstone 1 and 2 fly by and next thing you know you are about to start your study leave. I was lucky to have a whole support system behind me during this time. There is more than one way to get to the CFE exam writing center- it is not always through a Big 4. MacGillivray helped me reach my potential and turned me into a successful CFE writer.